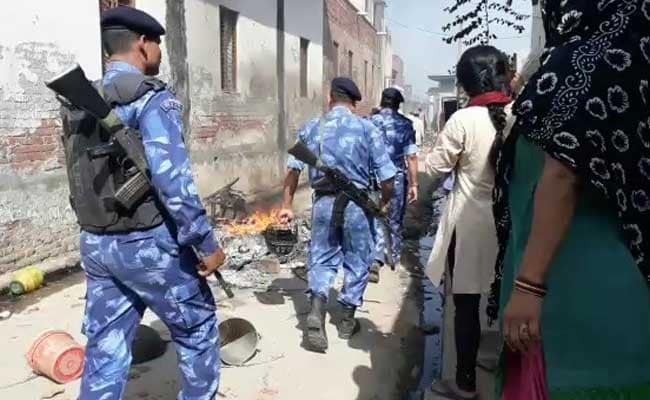 The Uttar Pradesh police has constituted a Special Investigation Team (SIT) to probe 40 cases, registered between May 5 to May 23, in the Saharanpur district which has repeatedly seen inter-caste clashes this month. A Dalit man died in fresh caste-clashes in Uttar Pradesh's Saharanpur on Tuesday. Lucknow: The Uttar Pradesh police has constituted a Special Investigation Team (SIT) to probe 40 cases, registered between May 5 to May 23, in the Saharanpur district which has repeatedly seen inter-caste clashes this month. "A SIT comprising 10 inspectors has been constituted by SSP, Saharanpur, to investigate 40 cases registered between May 5 to May 23", IG, Public Grievances, Vijay Singh Meena told reporters in Lucknow. The cycle of violence in Saharanpur began on May 5, when a man was killed, several injured and around 25 homes set ablaze in inter-caste clashes in Shabbirpur village. The district has remained tense ever since and violence has erupted repeatedly. The opposition parties in Uttar Pradesh have been attacking the ruling BJP over the violence in Saharanpur. BSP leader Mayawati visited Shabbirpur while Congress Vice President Rahul Gandhi also raised the issue.